There is nothing that is so broken that makes it unusable but I would have thought that because Lubuntu 14.04 is the long term support release it would have had less obviously visible bugs when it was first released. The full system requirements can be found on the Lubuntu Wiki page. The bare minimum that you can use is a Pentium II with 128 MB of RAM but this would not hold up well for daily use. The system becomes more usable with 256 MB of RAM and with 512 MB of RAM you should be able to use the system without too many problems. Realistically speaking 1 Gigabyte of RAM would be more of an ideal starting point. Lubuntu really is one of the best solutions for older computers and for all those netbooks that were released earlier on in the decade with those Atom based processors. whistles of the “full-featured” mainstream distributions. The above text came from the Lubuntu Wiki. 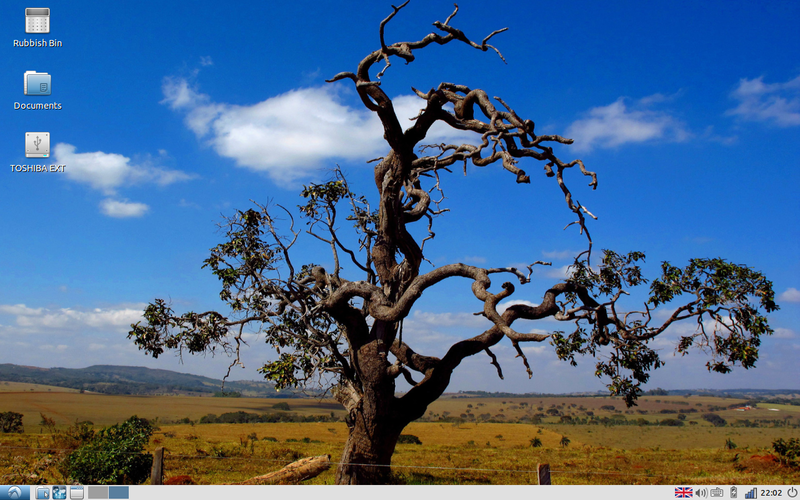 The aim therefore is to provide a lightweight operating system for older low-spec hardware. You can download Lubuntu from https://help.ubuntu.com/community/Lubuntu/GetLubuntu. After you have downloaded Lubuntu you can create a Lubuntu DVD or USB drive. If you have a slow internet connection you might wish to buy a Lubuntu DVD or USB. Lubuntu is available in 32-bit or 64-bit format. 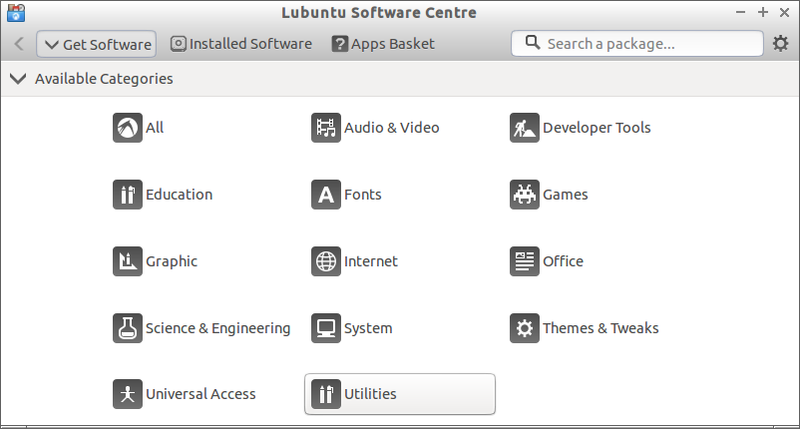 As part of the Ubuntu family of distributions Lubuntu shares the same installer and this therefore makes it very easy to install. The following guide shows how to replace Windows XP with Lubuntu. For somebody who has used Windows XP for a while the look will be almost instantly familiar. 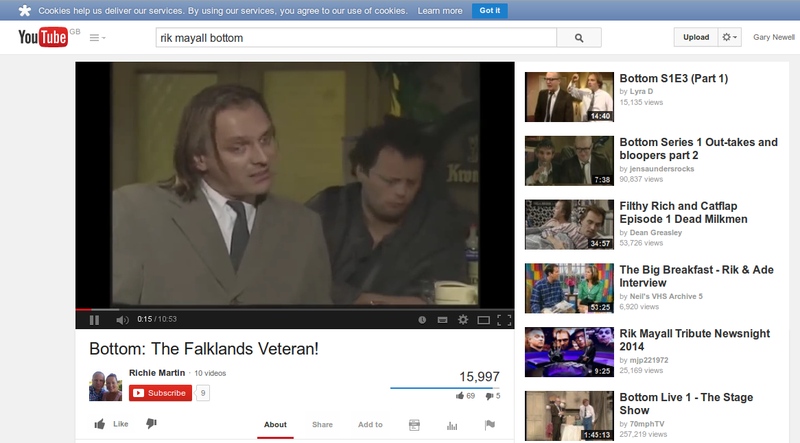 There is a panel at the bottom with a menu in the bottom left, quick launch icons and a system tray in the bottom right. When you click on the menu icon it opens out into a series of categories with the actual applications listed under those categories. There are some quick launch icons next to the menu button. These can be customised but by default open the file browser, the web browser and iconify all windows. You can also toggle between virtual workspaces. The system tray has icons for selecting your language, adjusting the volume, adjusting keyboard layouts, power settings, network settings and a clock. Again these can be customised. 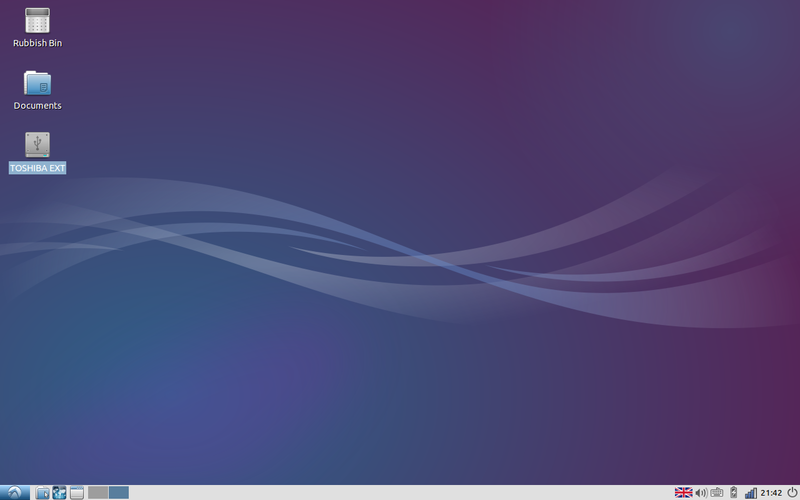 The default Lubuntu wallpaper is fairly bland. Most people using Lubuntu will be using it on their own machines and people like a bit of colour. 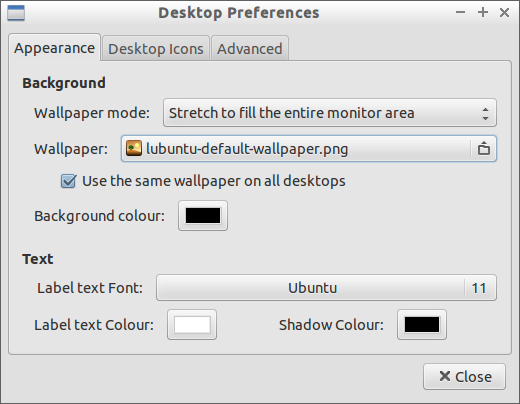 To change the default wallpaper right click on the desktop and choose “Desktop Preferences”. 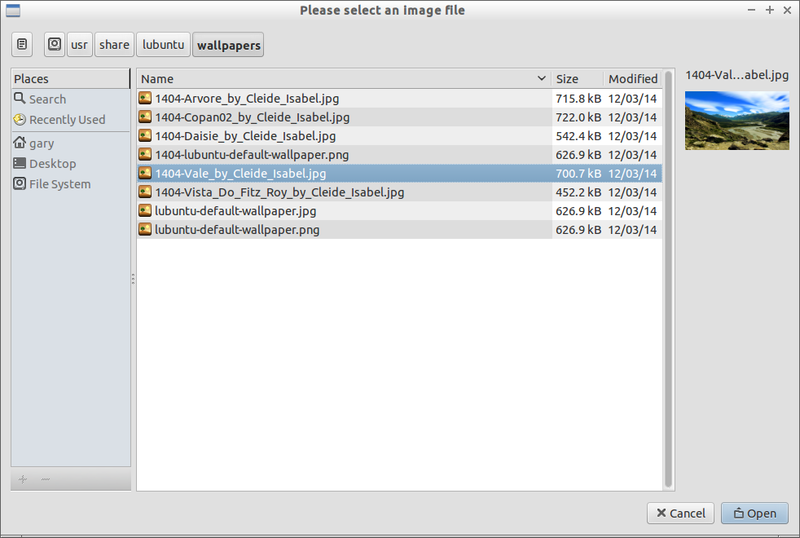 Click on the open folder icon to choose a new image. Lubuntu ships with other wallpapers and you can scroll through them with your mouse. A preview image appears in the top right corner. Click “Open” to change the wallpaper. I know that when I write these reviews I quite often get the response that a review is more than just showing off a few wallpapers but I just happen to think that the image above makes a much nicer first impression. One of the best features of Lubuntu is that because it incorporates the LXDE desktop it is highly customisable. This guide shows you how to customise the LXDE desktop. In my review of Lubuntu 13.10 I wrote the following with regards to connecting to the internet. As Lubuntu is based on Ubuntu it is very easy to connect to the internet. Simply click on the network icon and choose the wireless network (or indeed wired network) that you wish to connect to. You will be prompted for your password and then you will be asked for the security key to the network. You would therefore think that connecting to the internet is as simple in Lubuntu 14.04. Unfortunately though the network icon is missing from the system tray and so setting it up means jumping through a few hoops first. I have added the solution to an article listing 5 things to do after installing Lubuntu. I am a little bit surprised that this managed to get through testing. Did nobody install Lubuntu from scratch and try and connect wirelessly? What is interesting is how many Firefox releases there have been since Lubuntu 13.10 was released. In Lubuntu 13.10 the Firefox version number was 24. The version in Lubuntu 14.04 is 30. In order to be able to play Flash video files and MP3s within Lubuntu you will need to install the Lubuntu Restricted Extras package. The process of doing this is also listed in the article 5 things to do after installing Lubuntu. As mentioned before Lubuntu is designed to work on computers with low specifications. The applications included are therefore less on the glitzy side and focus more on basic functionality. For general day to day use most of these applications are perfectly usable. Abiword isn’t a real replacement for Microsoft Word or LibreOffice Writer but if your only requirement of a Word Processor is to type the odd letter then Abiword is just fine. Hey, I used Abiword to write a short story whilst on the train to the Gadget Show Live. The same can be said of Gnumeric. It is fine for basic spreadsheet tasks such as creating basic budgets but it is no Microsoft Excel. If you need something more powerful then it depends on your computer what you can afford to do. You can either install LibreOffice (assuming your computer can handle it) or you can use Google Docs. 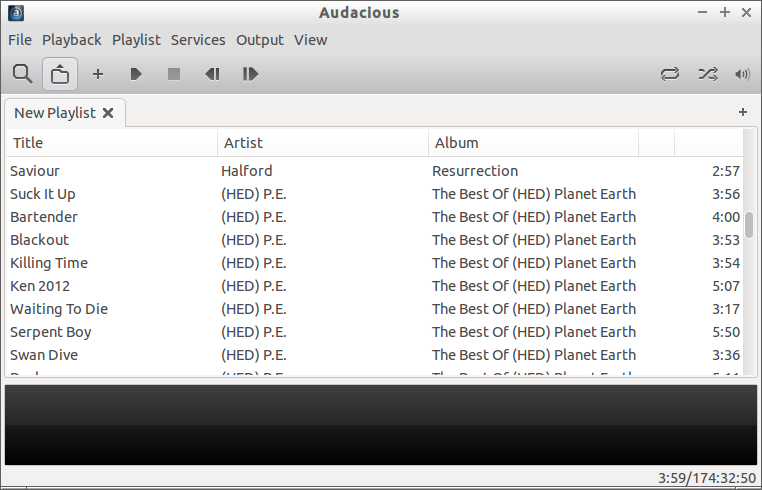 Audacious is a functional audio player and includes the basic items all audio players should have including the ability to import files into collections and create playlists. Again it isn’t as good as some other audio players but it does the job. 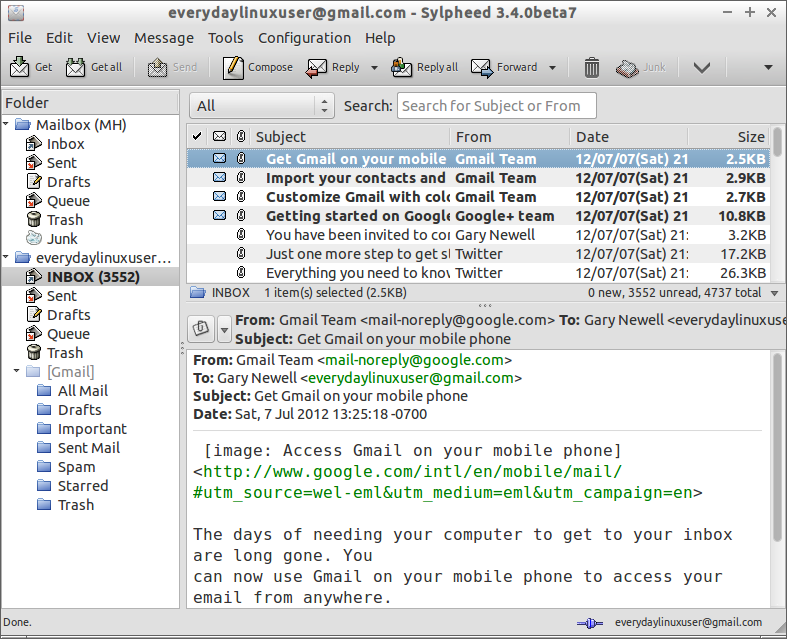 Sylpheed is a decent enough email client and if you have a GMail account it is easy to set up. One thing with Lubuntu 14.04 is that the games section has gone. I remember asking the question does anyone ever play the KDE games? The response was a resounding yes. The question therefore has to be asked “Will Lubuntu users miss the LXDE based games?”. If you do miss the LXDE games then all is not lost, you can always use one of the package managers available to install them. In theory the best method for installing software would be by using the Lubuntu Software Centre. the rest of the search term. The problem with the search function is that users of Lubuntu are going to be on older hardware and so the responsiveness of the computer might not be that great and maybe you can’t type your search term in 300 milliseconds. The search box is therefore clunky. It would be better if the search box let you finished typing before attempting to return results. I also noticed that when I ran the Software Centre the first time it wouldn’t return all the results. Only after hitting the reload button in the Synaptic Package Manager did the Software Centre then start showing everything. Why not add a reload button to the Software Centre? 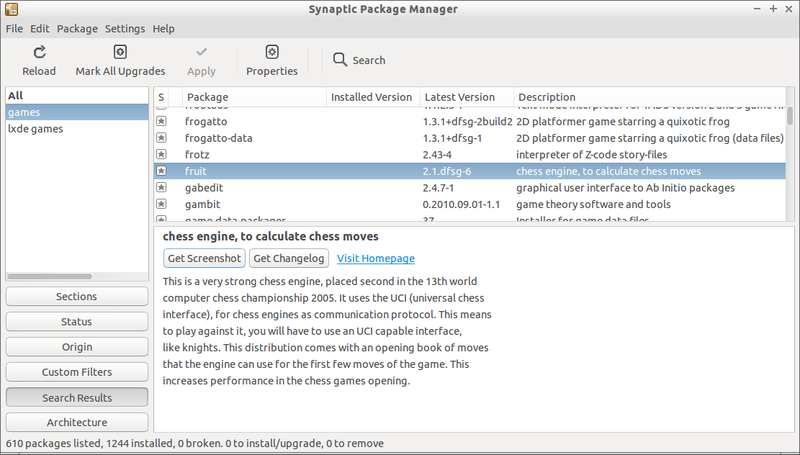 I still think that the best way to install software is by using the Synaptic Package Manager. It may not be pretty but it works. 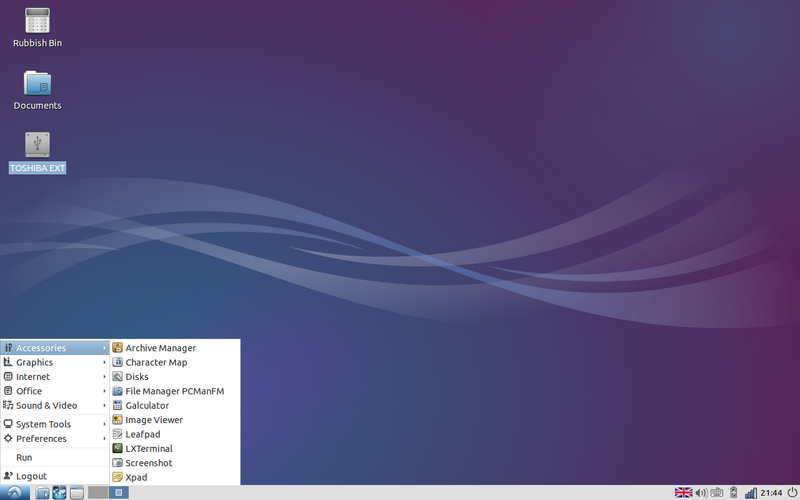 All the new features for Lubuntu 14.04 can be found in the release notes. The best new feature is the fact that Lubuntu 14.04 is an LTS release providing support for 3 years. That is a big thing as it means you can install Lubuntu 14.04 and it should still work in 2017. There is a new version of PCManFM, there is updated artwork and a new version of LXSession-Default-Apps. STEAM is available via the software centre and you can also install PlayOnLinux and WINE for playing Windows games. It is probably worth noting that the majority of modern games will struggle on older hardware. I have already mentioned the network manager issue whereby the icon is missing from the panel. Another big issue (especially for users in the UK) is with keyboard layouts. When I installed Lubuntu 14.04 I chose the UK as my country. After Lubuntu loaded the keyboard layout was set to US English which has the effect of turning pound symbols to hashes and various other inconsistencies. I covered this issue in the article 5 things to do after installing Lubuntu and that shows how to resolve the problem. You can view more known issues here. Despite the issues that I have highlighted through this review I would still recommend Lubuntu for older hardware and netbooks over most other distributions. The network applet and keyboard issues were slightly disappointing and I would like subtle improvements made to the Software Centre. And finally….. why and where have the games gone? share it with other people via Twitter, Facebook, Google+, Delicious, StumbleUpon, Digg, Reddit, LinkedIn, and Pinterest? I love lubuntu. The nm-applet bug is a major screw up on their part and Mr. Shuttleworth ought to beat the devs over the head on that one. Users on old hardware will often find the graphics troublesome. A lot of the old graphics cards will have little to no acceleration and will have trouble displaying the proper resolution and color depth needed for an enjoyable experience. The best course of action is to try the live cd first, then install if you`re happy. I just installed and the Network Manager was right there in the bottom right corner … so apparently your installations got borked. It happens. Redownload and Reinstall. It is a verified bug, read the release notes. Flash player on old computer? Lubuntu can run on a range of computers from the very old to the very new. Highlighting how to install Flash is just part of every review. For me, 14.04 is a step backward, a major step backward. 1) my wifi stops randomly 2) my indicator-multi-load is not working, period, especially after the daily updates were installed. Only a small indicator appeared, instead of one for each of the services monitored. After the daily updates, it failed to work at all. I'm looking to publish a computer guide, and am curious by how much your books sell. How many copies do you sell per title. I use Linux. It is a great operating system. Was curious about Lubuntu 14.04. Had a 7 year old Lenovo 3000 Y500 lying around (battery now gives 45 mins on Lubuntu), Celeron 1.73 Ghz single core, 1 GB RAM. Works beautifully on Lubuntu! Snappy and I love it! 5 years on Lubuntu now, I was just thinking how much I love it, found this post 🙂 If ppl only knew… The only complaint I have is the default theme. I recommend installing the Numix Theme plus their icon theme. That and a fresh font like PT Sans or just Open Sans will make it look 10 years younger.